Kano (Nigeria) (AFP) - Boko Haram gunmen killed at least 43 people and burnt down three villages in northeast Nigeria, residents told AFP Thursday, the latest in an upsurge of attacks by the Islamist militants. Dozens of rebels on motorcycles stormed Matangale, Buraltima and Dirmanti in restive Borno state on Tuesday, opening fire on villagers before looting and burning homes, fleeing residents said. News of the assault was slow to emerge due to poor communication in the region after Boko Haram destroyed telecoms masts in previous attacks. "They came around 4:00 pm (1500 GMT) on 20 motorcycles, three gunmen on each, and attacked Matangale before proceeding to Buraltima and Dirmanti,"‎ said resident Dala Tungushe. "They killed 43 people and burnt all the houses in the three villages after looting food supplies," Tungushe, who fled Matangale to Biu, some 90 kilometres (56 miles) away. Matangale was worst hit by the attack as the attackers opened fire at an open well outside the village where residents had gathered to fetch drinking water and do their laundry. "The Boko Haram gunmen opened fire on the crowd at the well where they killed around 16 people," said Bulama Karuye, another resident. "In all, we lost 43 people in the attacks. All the three villages were completely burnt." He added the number of casualties could have been much higher had some of the villagers not been away at a weekly market around 40 kilometres away. Hundreds of residents of the affected villages, particularly women and children, fled to nearby Damboa town where they had sought refuge in a primary school, both Tungushe and Karuye said. 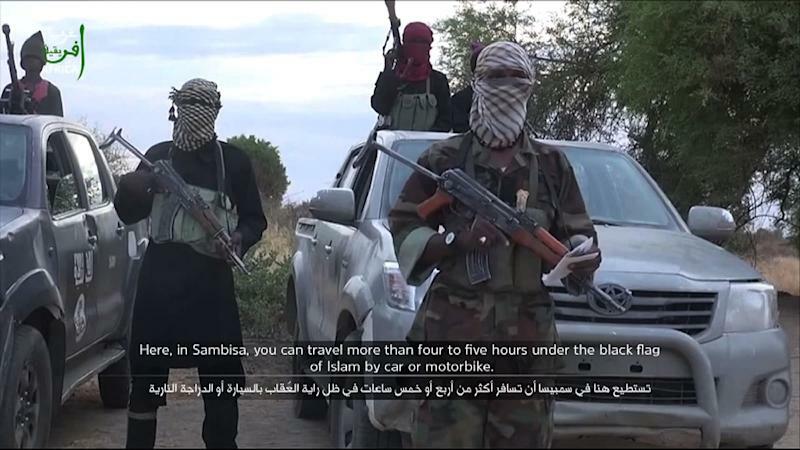 They said the attackers ‎came from nearby Sambisa Forest, a major Boko Haram stronghold from where hundreds of women and children kidnapped by the militants were rescued during recent military operations. Troops and local hunters from Damboa pursued the fleeing attackers into the bush and a gunfight erupted‎. "The soldiers and the hunters brought back a pickup truck and some motorcycles they recovered from the Boko Haram attackers... but we don't know how many of the gunmen they killed," Tungushe said. More than 150 people have been killed by Boko Haram since President Muhammadu Buhari took power on May 29, vowing to crush the militants and end their bloody six-year insurgency.